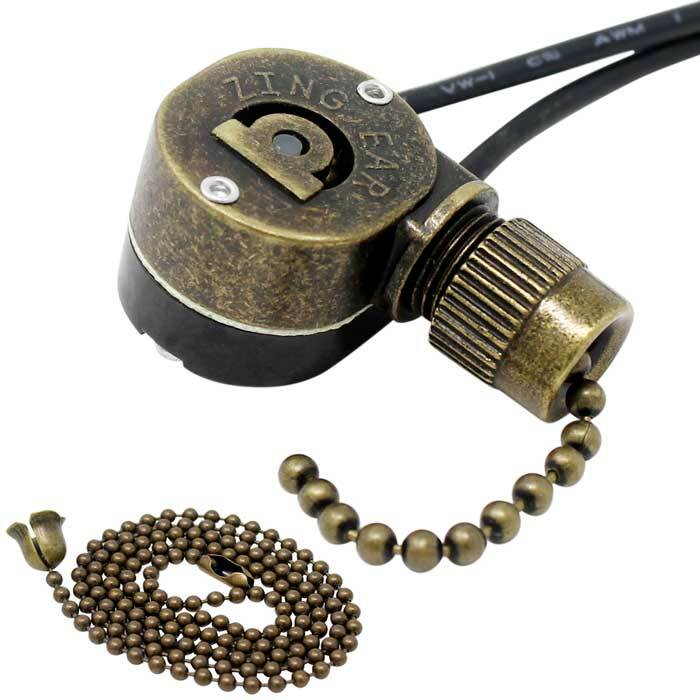 The Zing Ear ZE-109M pull chain switch activates light by gently tugging the attached pull chain. 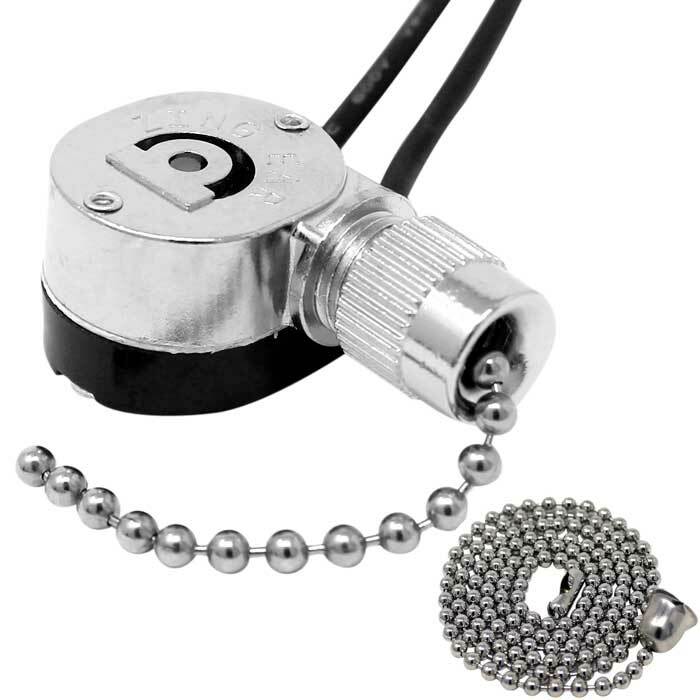 Mostly used to turn the light ON & OFF on ceiling fans and lighting fixtures with 2 wires capability. Available in Brass, Antique Brass, Nickel, Black Nickel. 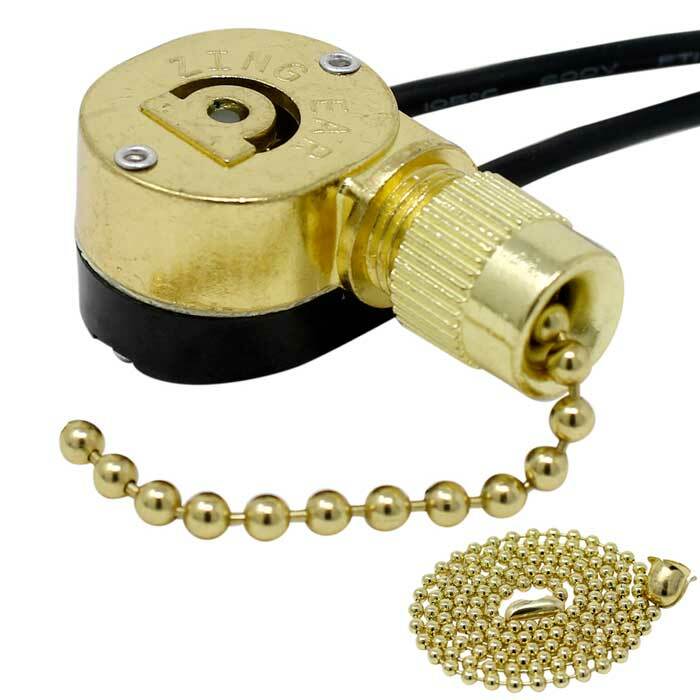 Zing Ear ZE-109M is used to control a lamp within a ceiling light fixture or a ceiling fan. 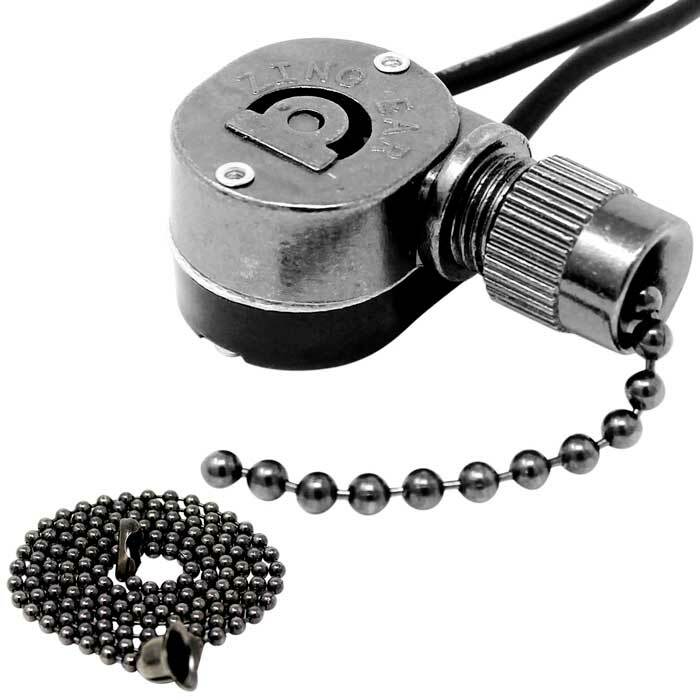 Tugging the pull chain switch will turn light on and off. Zing Ear ZE-109 is UL recognized and CSA approved, so it can be safely integrated into any lighting system in USA and Canada.